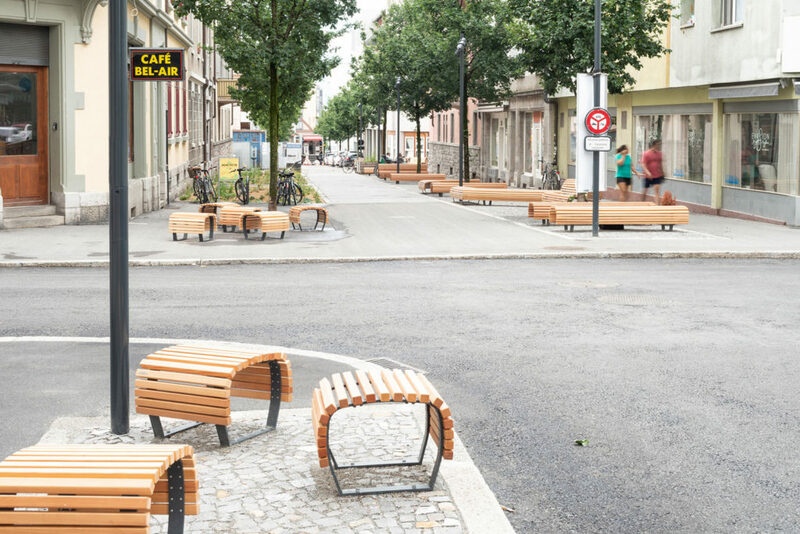 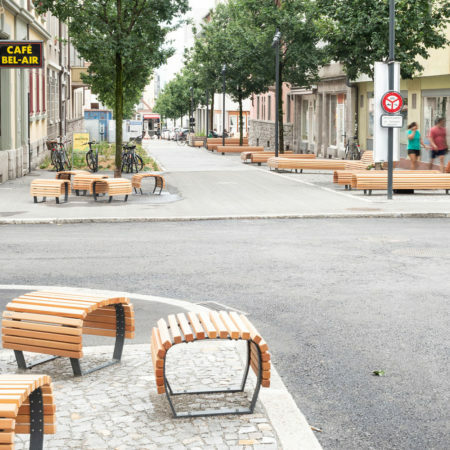 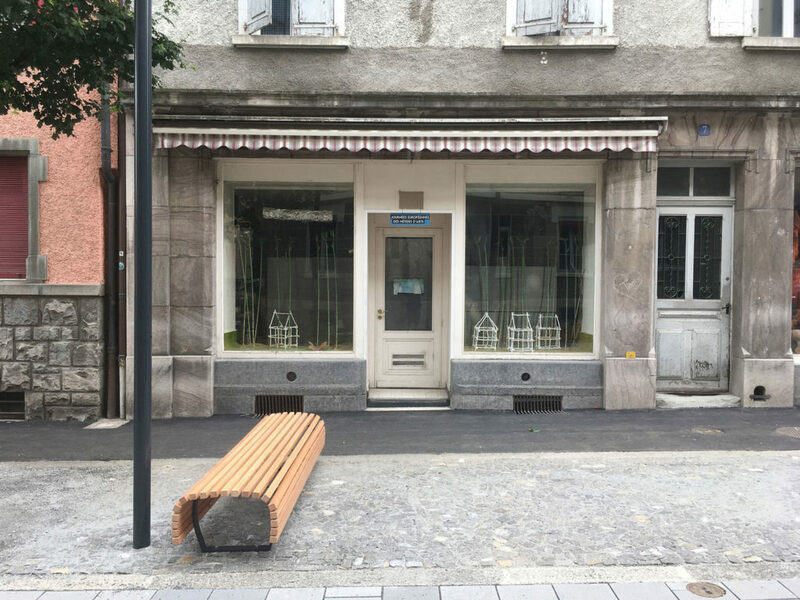 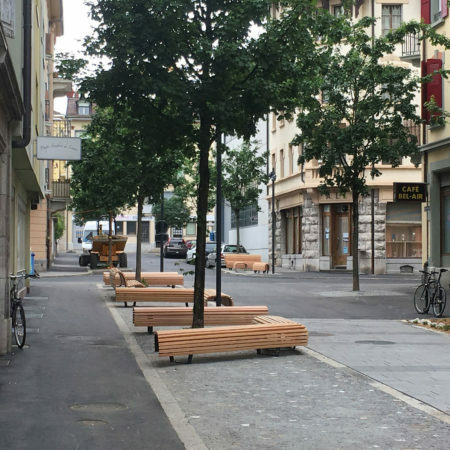 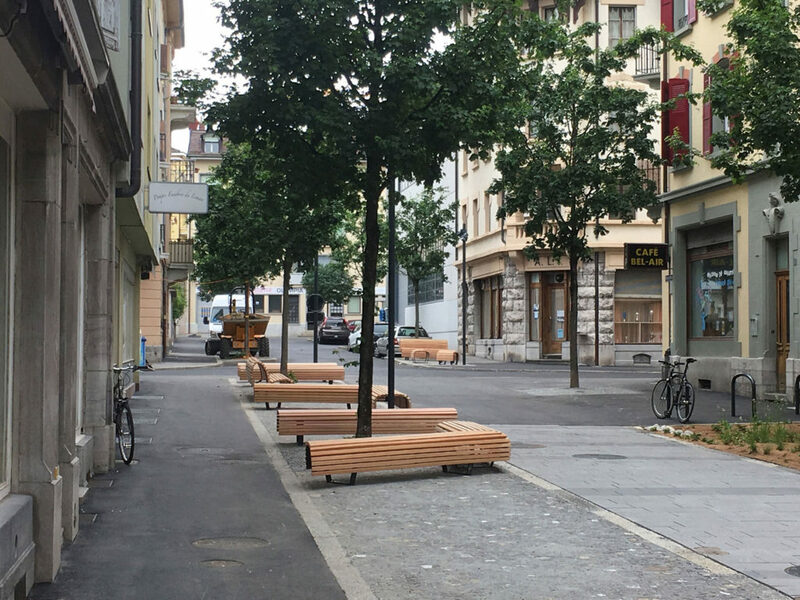 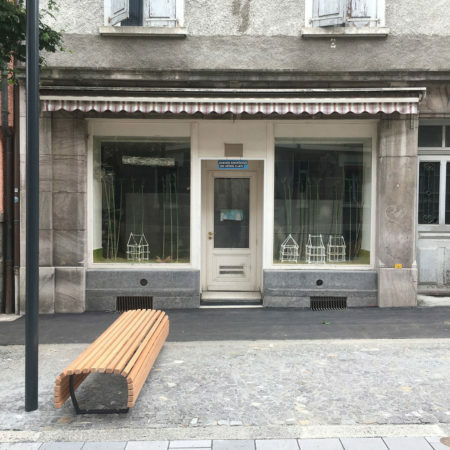 The opportunity to recreate a block of the Rue du Nord is brought about by work introducing an underground remote heating supply line to the city. 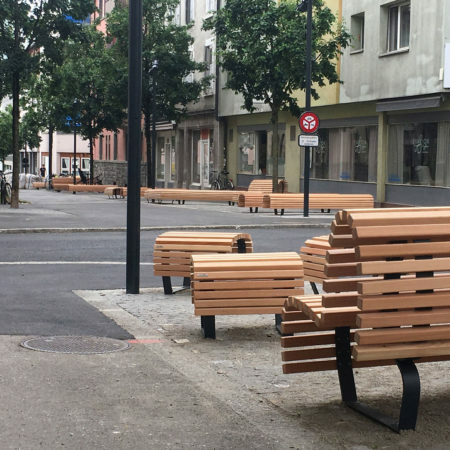 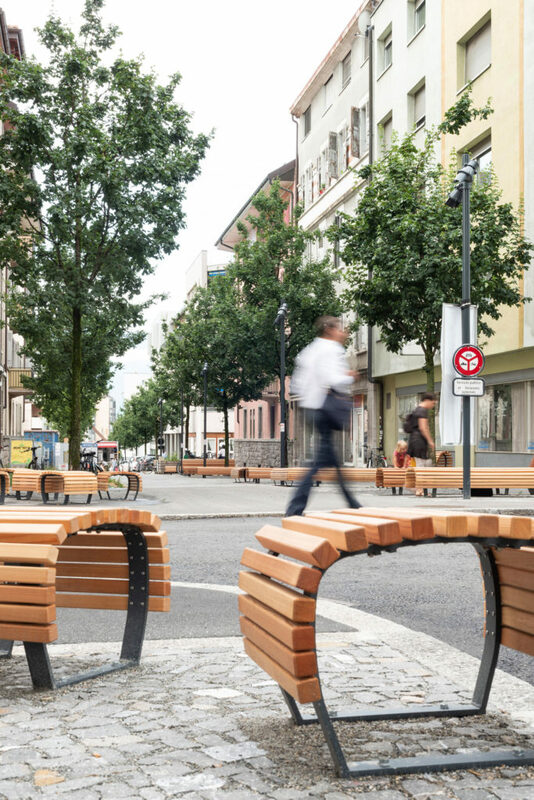 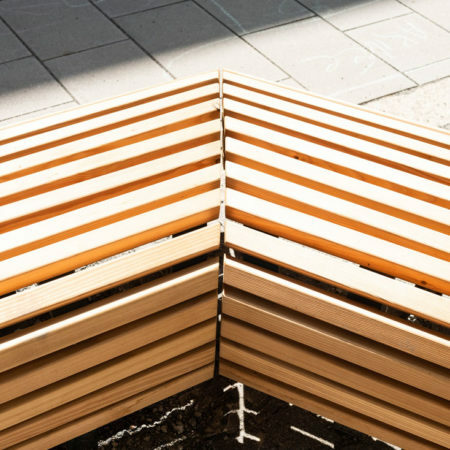 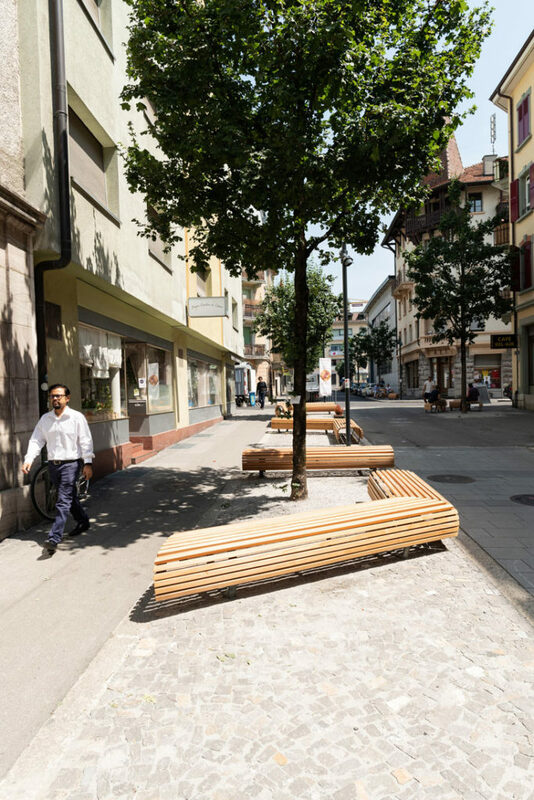 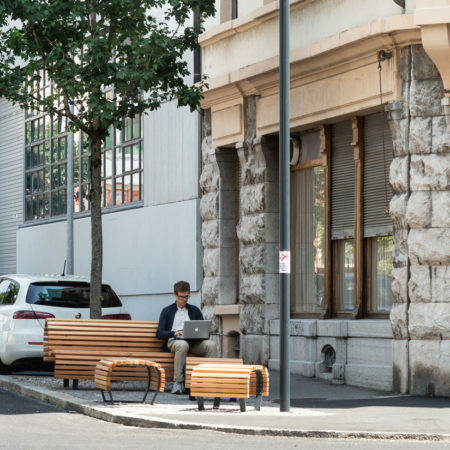 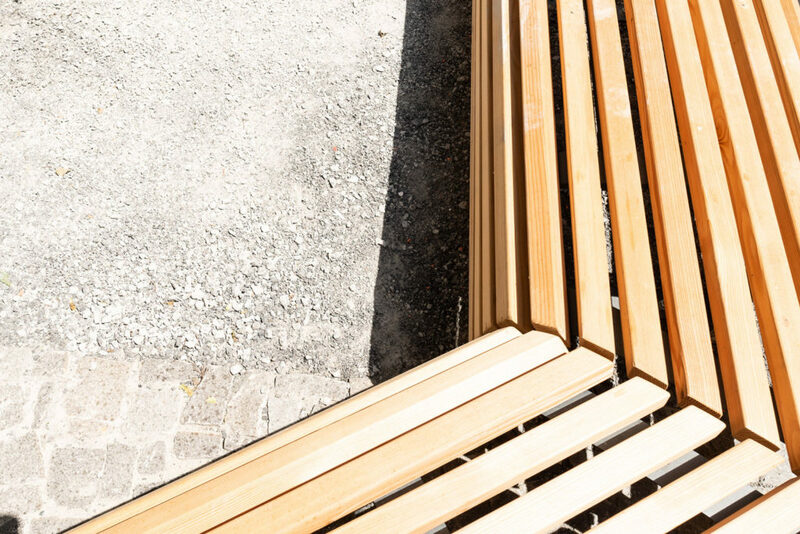 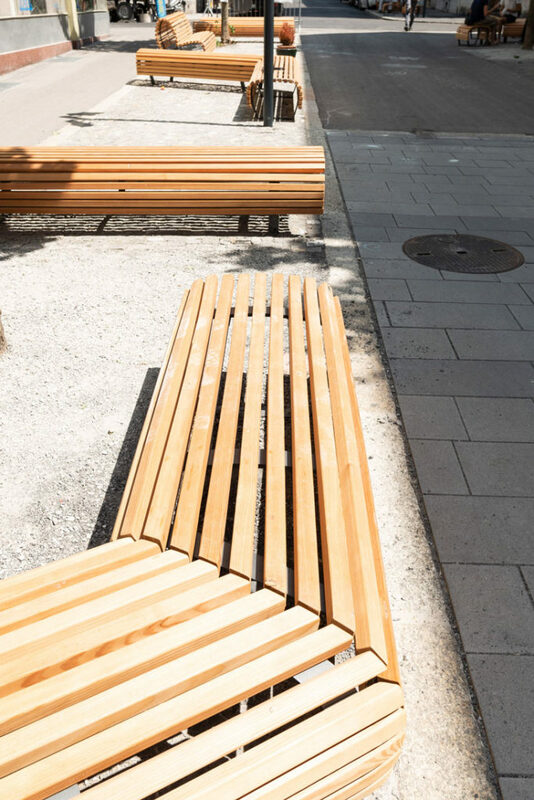 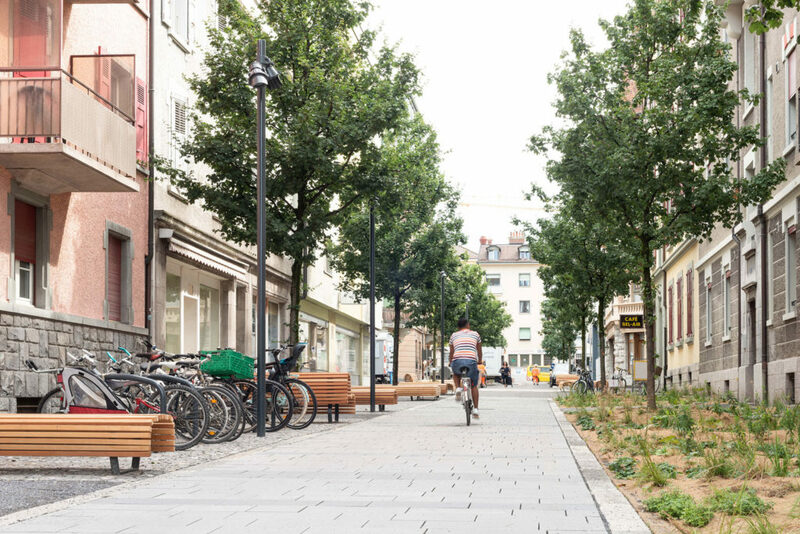 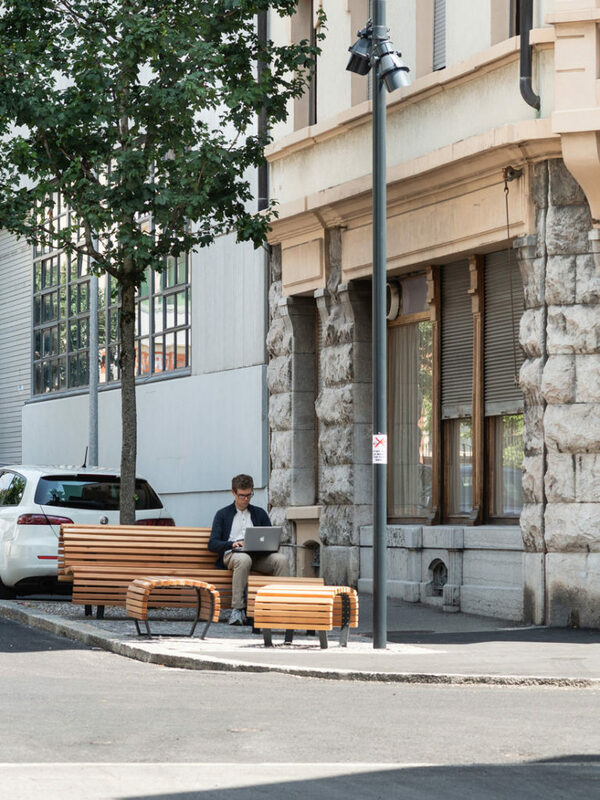 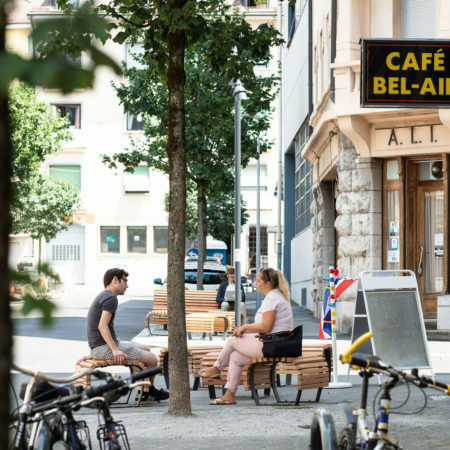 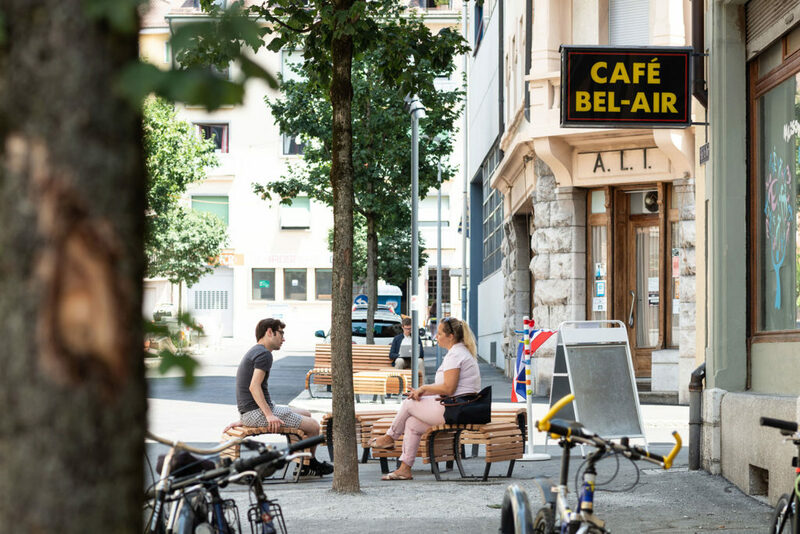 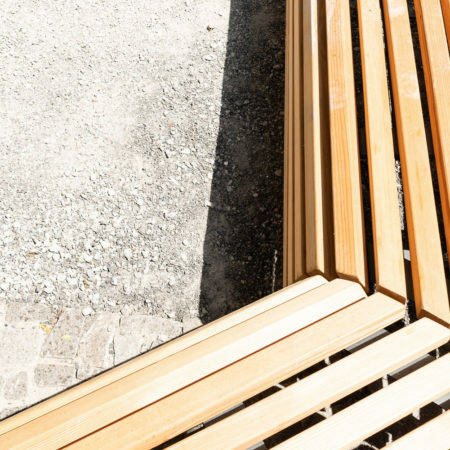 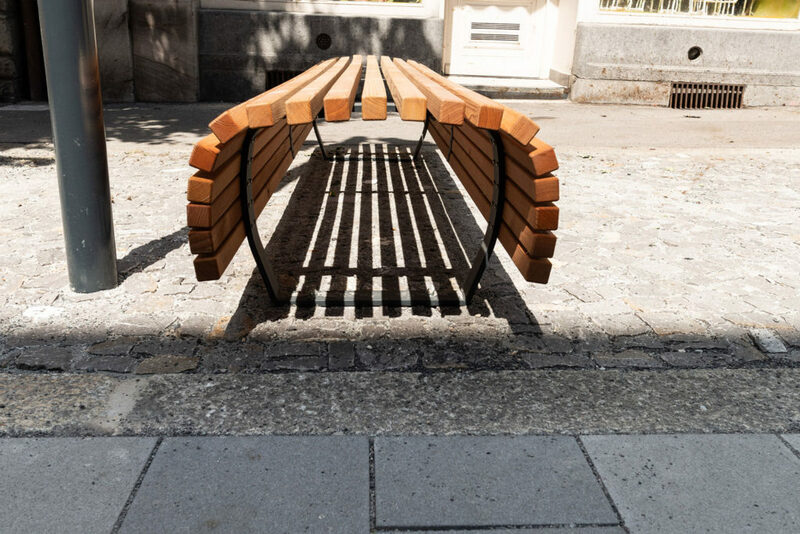 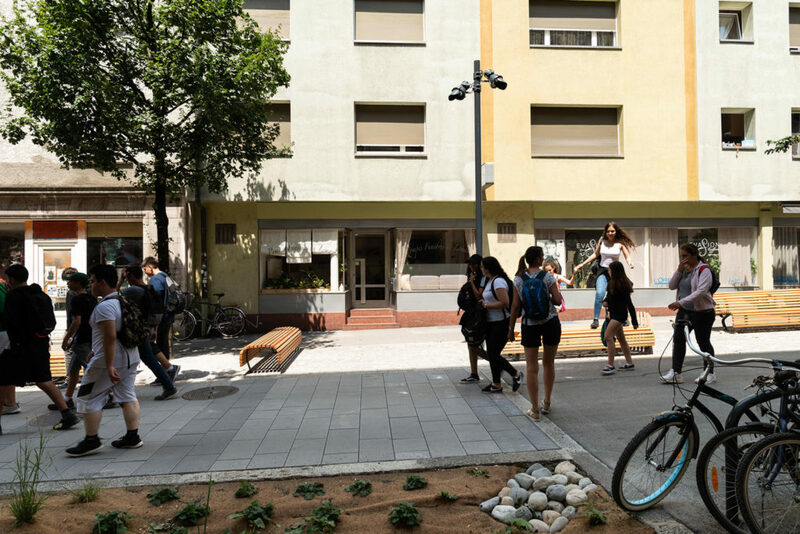 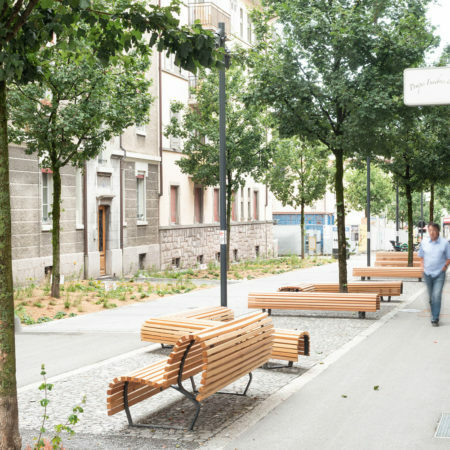 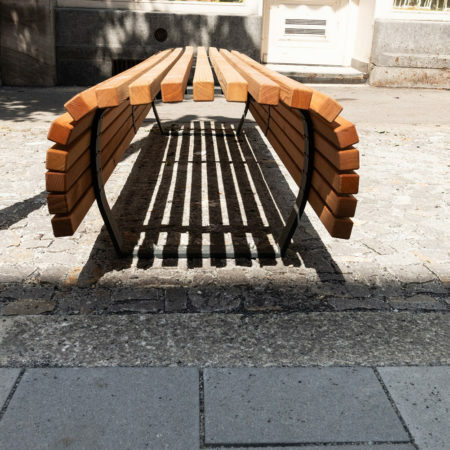 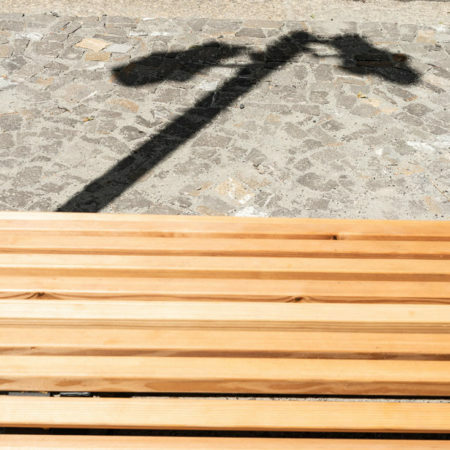 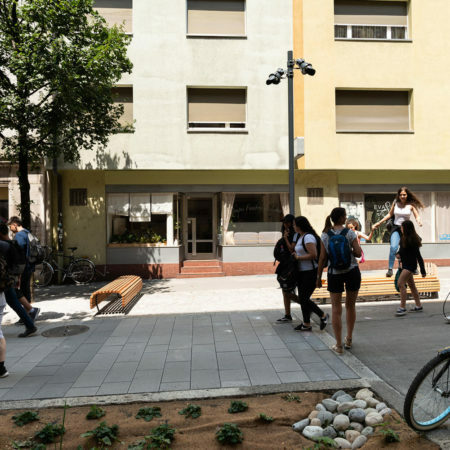 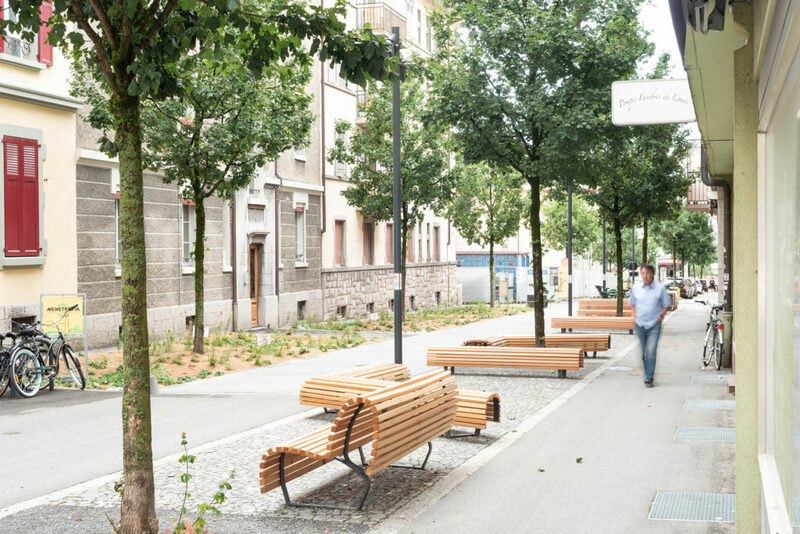 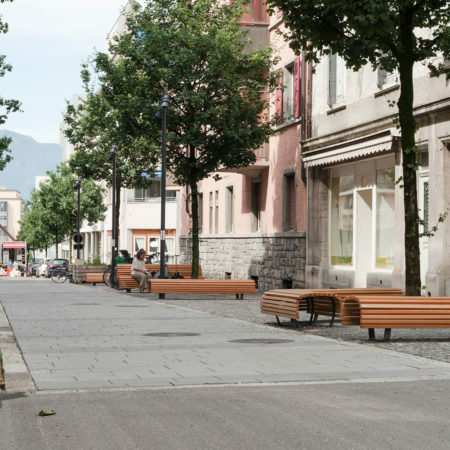 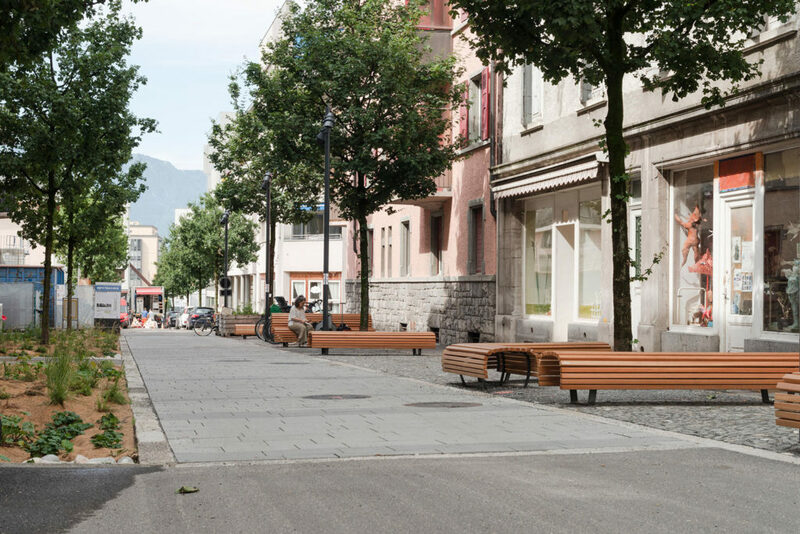 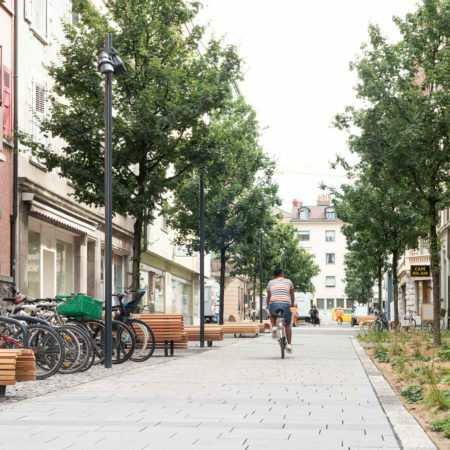 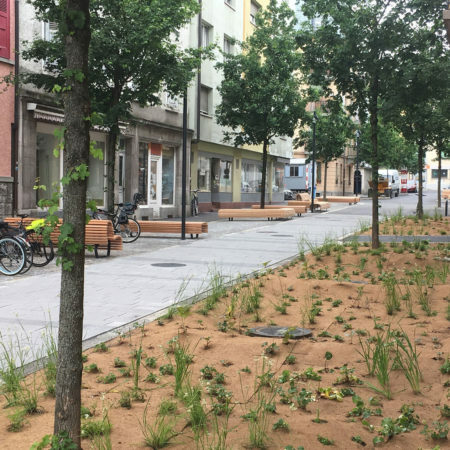 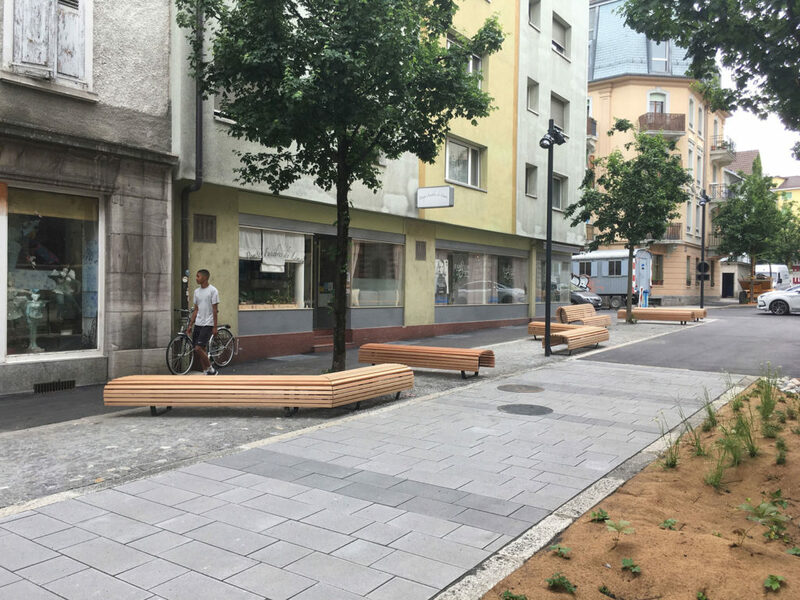 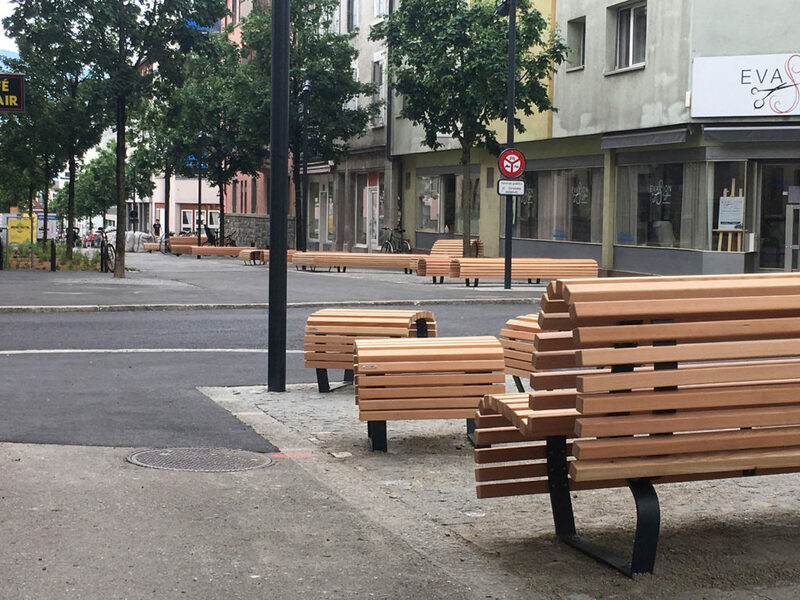 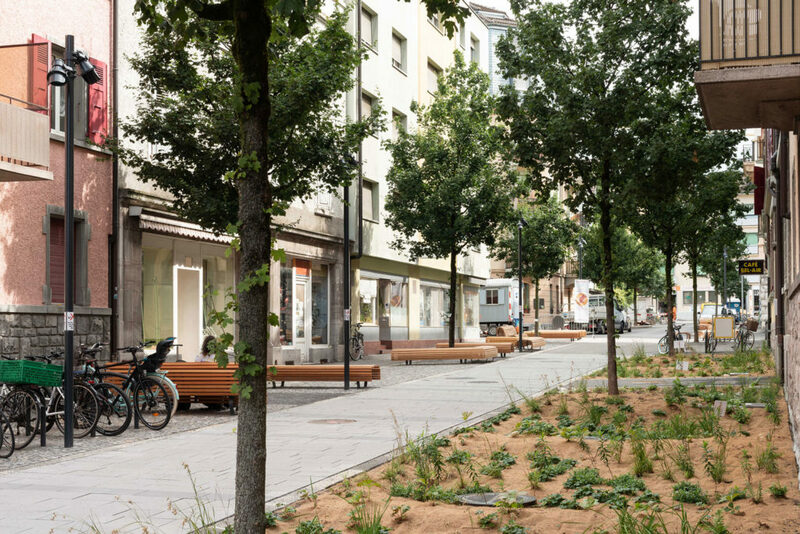 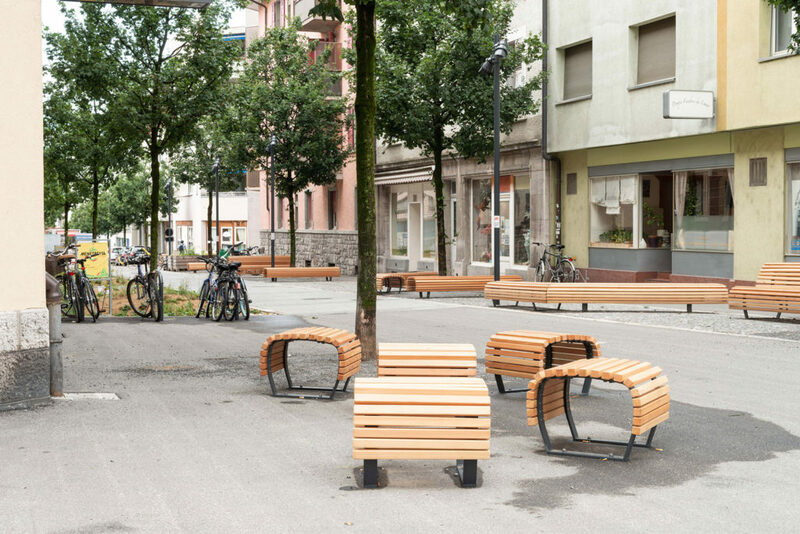 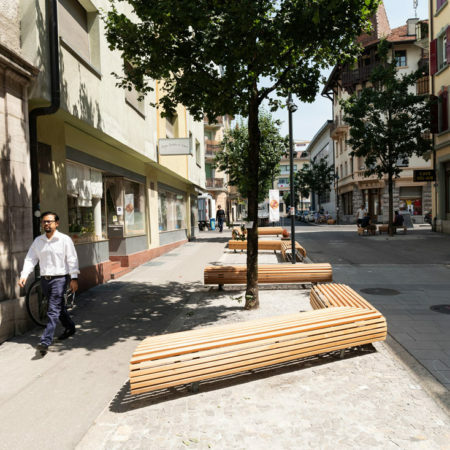 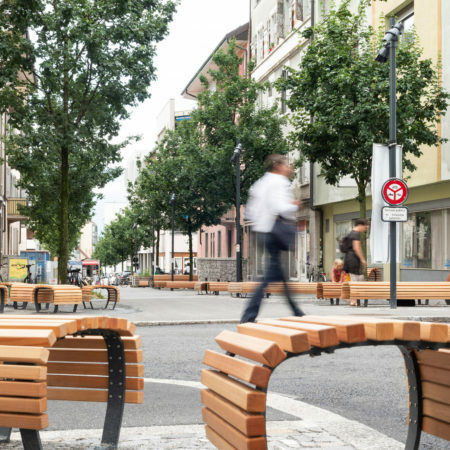 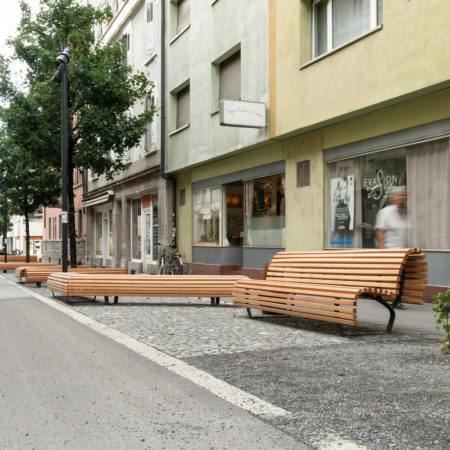 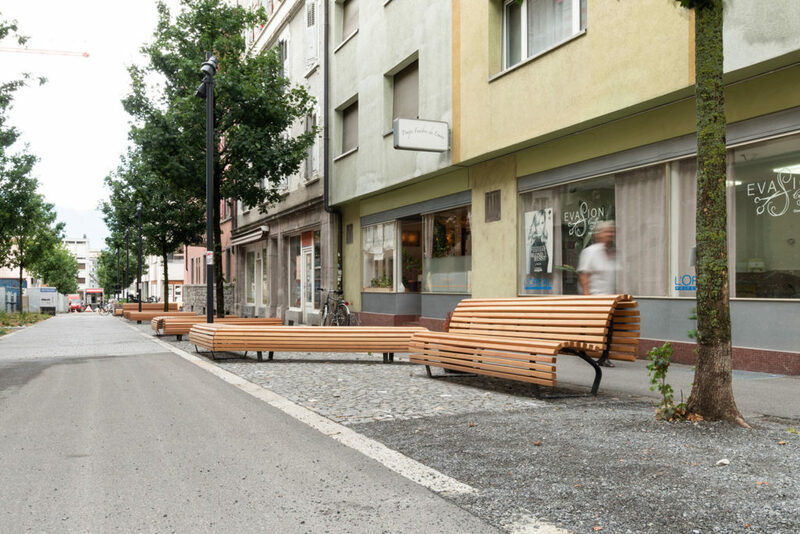 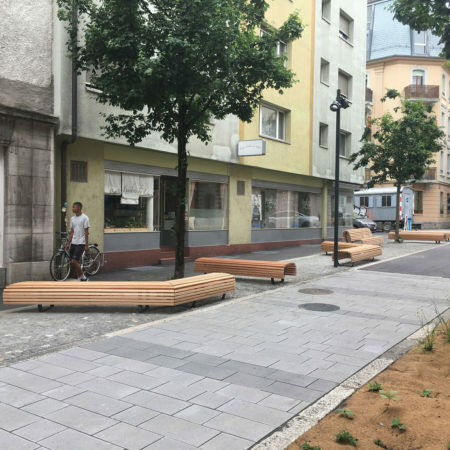 The project aims to create a vibrant public space, to encourage neighborhood activity, to develop the site’s own identity and to increase the presence of nature in the city. 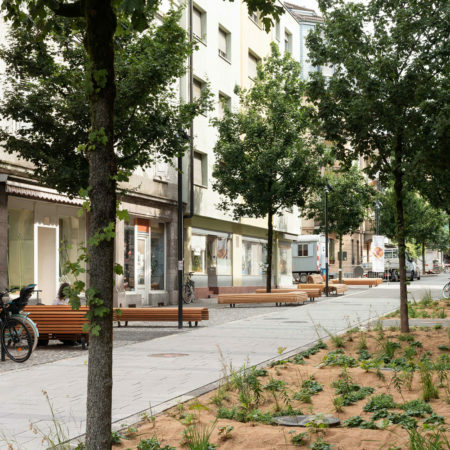 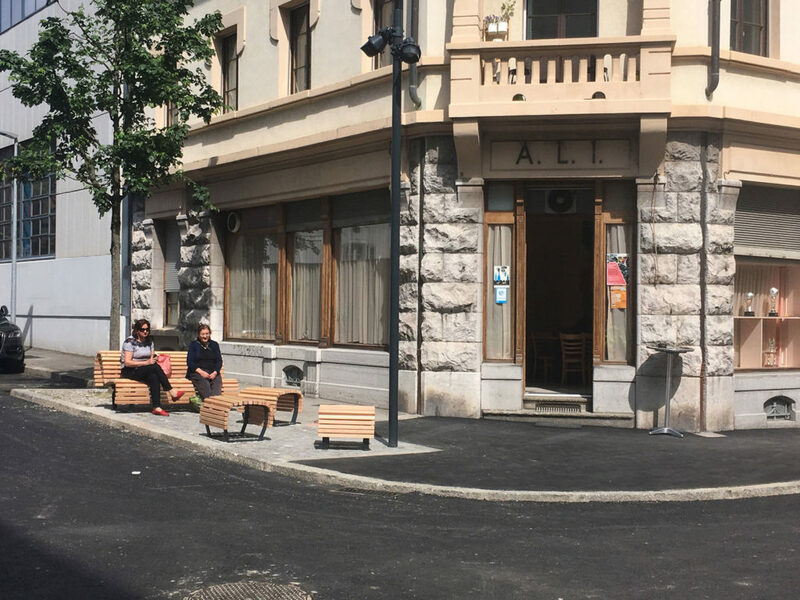 Initial concerns focussed around diverse expectations regarding nature and public-space occupation and the sense of loss generated from forfeiting parking spaces. 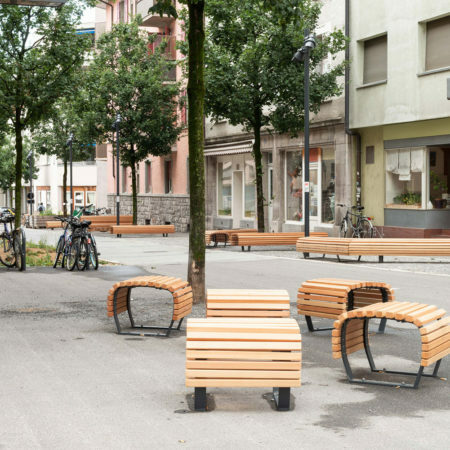 Such were the challenges confronting the design team’s desire to create a high-quality, memorable public space. 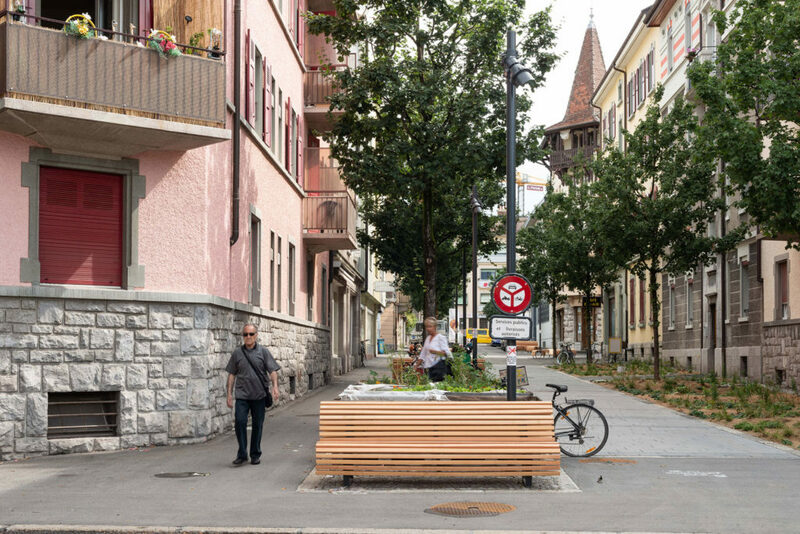 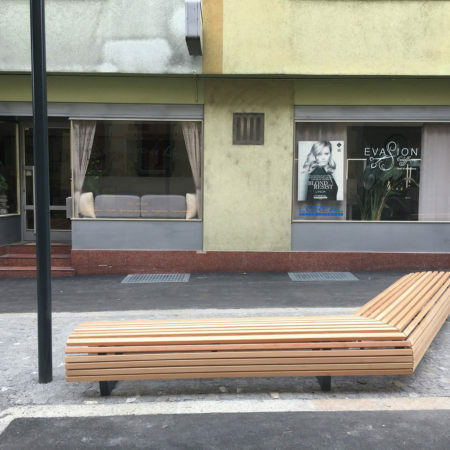 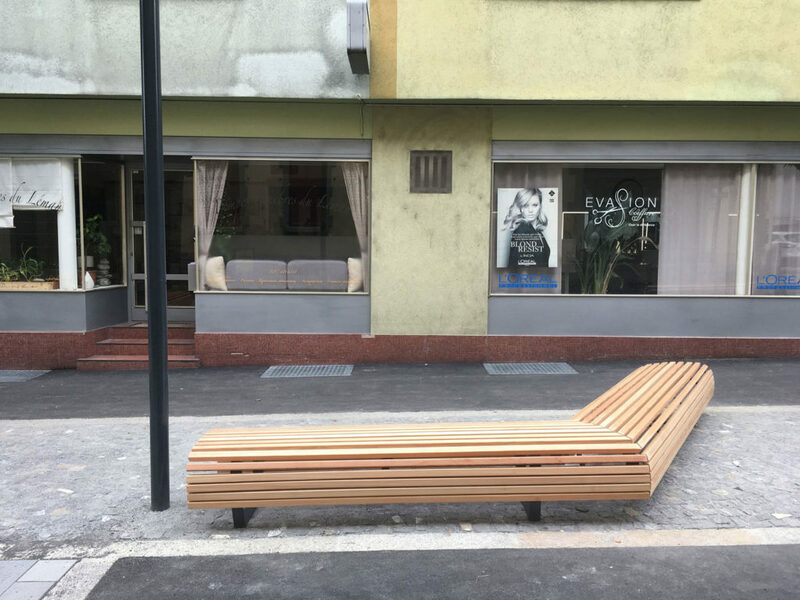 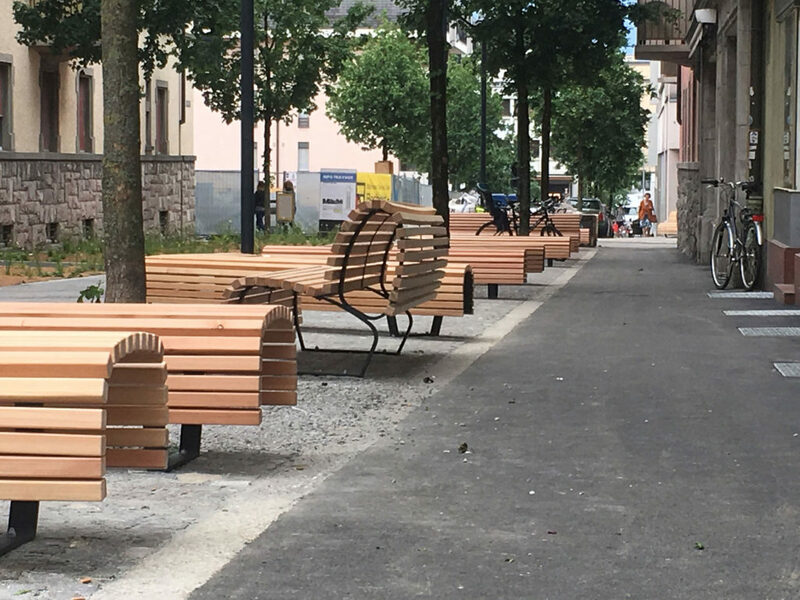 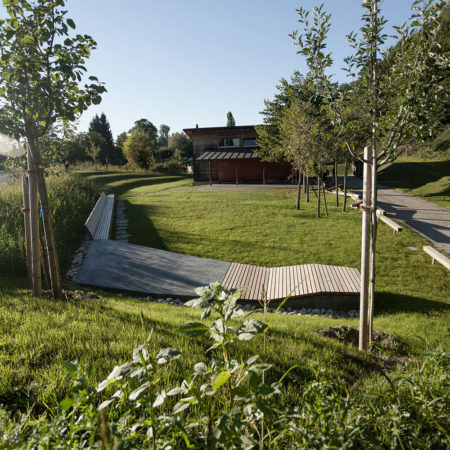 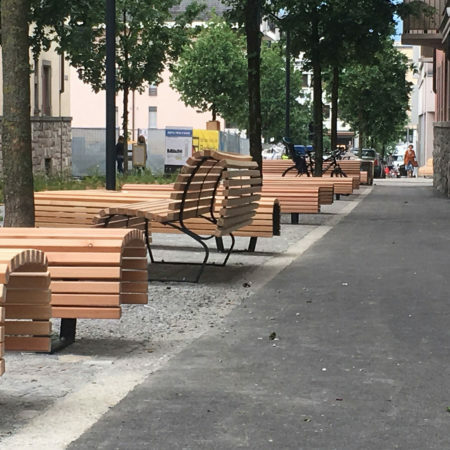 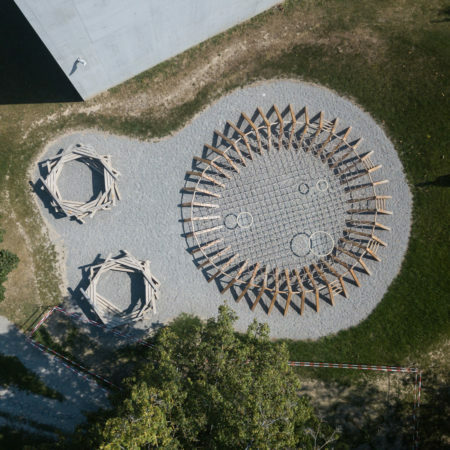 The landscape concept was nourished and developed through a series of participative workshops organized in collaboration with the city, the community center and local inhabitants. 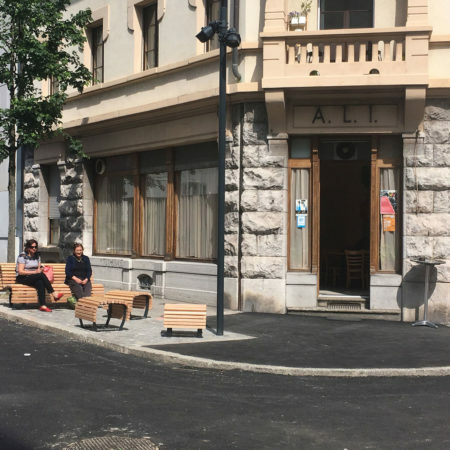 The workshops effectively helped build a constructive relationship with local actors and future users and provided a fertile framework on which to present the added values of the project’s impact. 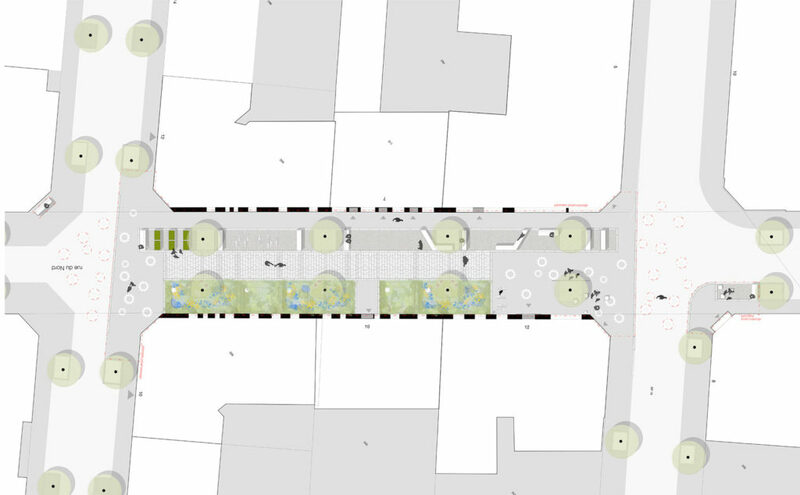 The renovated street is divided into strips corresponding to use. 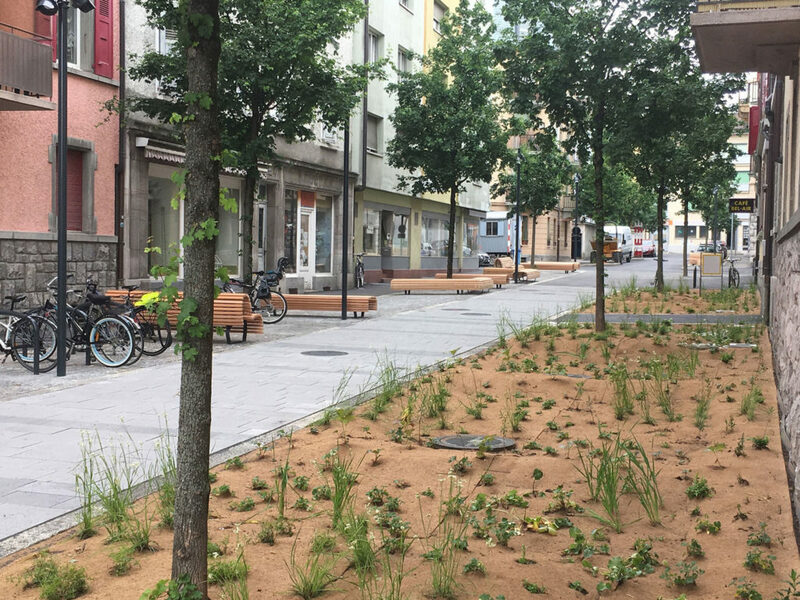 Wide planted swales gather rainwater. 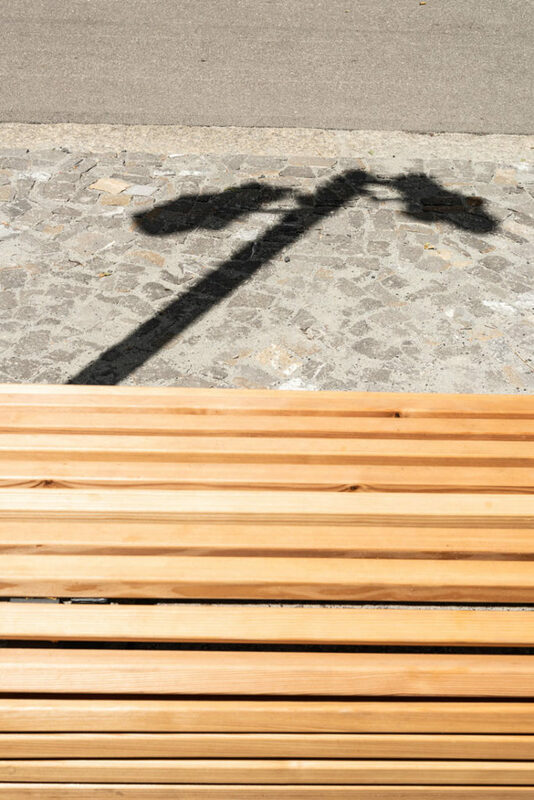 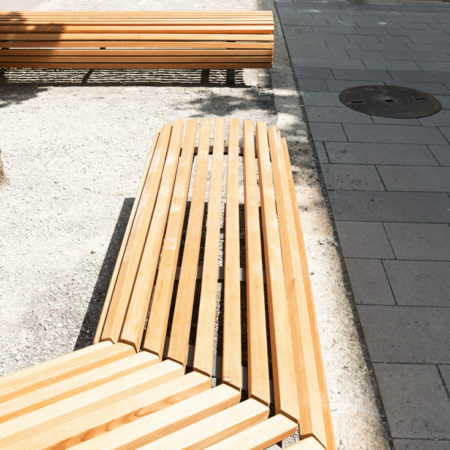 A paved band striped with public seating areas and punctuated with lighting provided comfort. 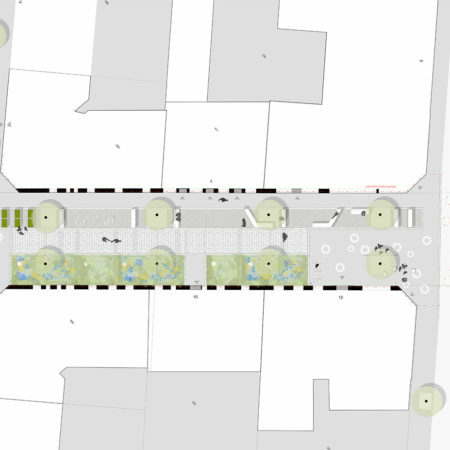 A central strip, provides access for pedestrians, bicycles, deliveries and emergency vehicles. 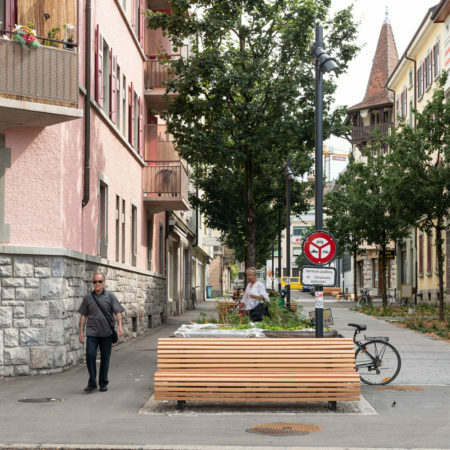 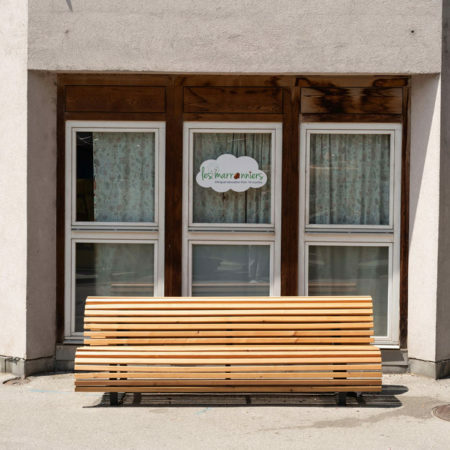 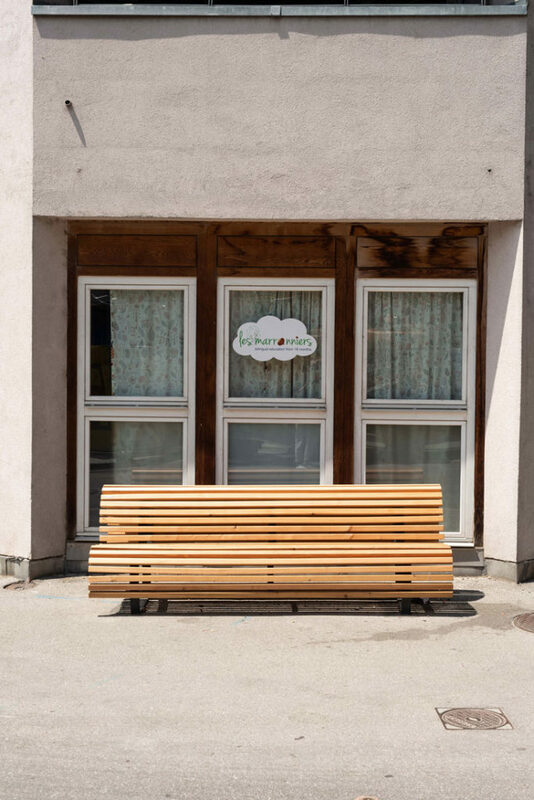 A small public space anchoring the frontage of the neighborhood community center becomes an outdoor meeting and space. 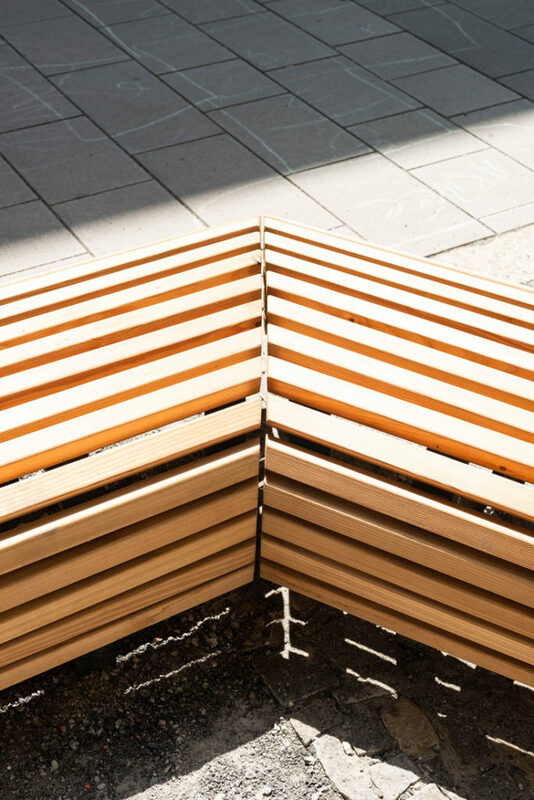 Urban farming boxes provide highly-sought after spaces to plant and cultivate vegetables.